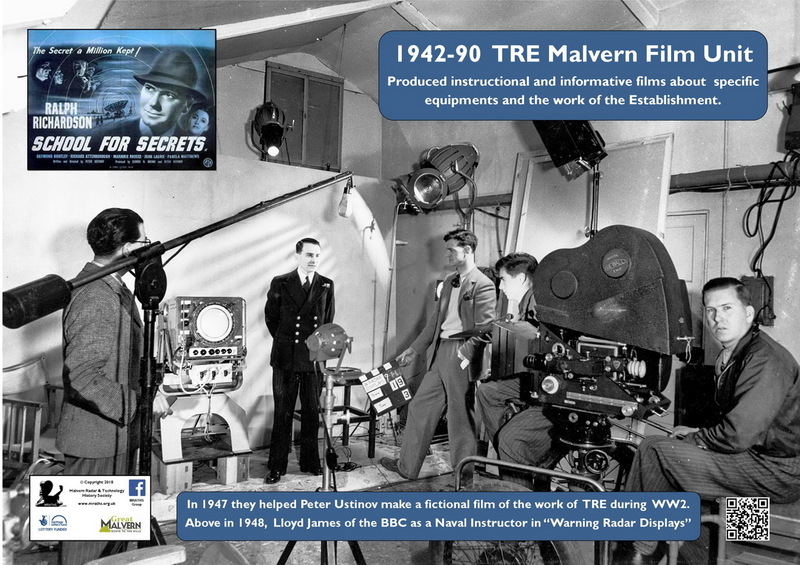 The TRE film unit grew out of the need to provide instructional films for the RAF on radar systems. It produced a wide variety of training film some in colour. They managed to obtain Kodak colour cine film from the US. It was run by Doug Fisher & John Stewart. 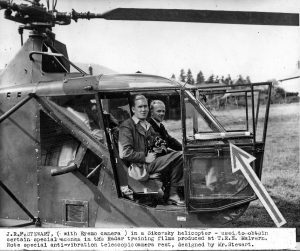 Some of these films required the camera man to film in hazardous conditions such as the front end of a Walrus when diving against submarines and being strapped into an early helicopter. 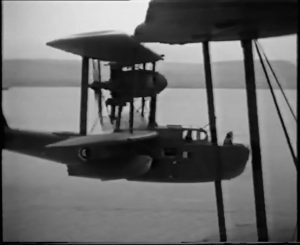 At the end of the war the air Ministry decided that the story radar would made a good film “an informative film, a commercial film, a little laughter, a little pathos, a lot of hard facts and riproaring adventure”. This task was given to Peter Ustinov who at the time was only 24 years of age and a private in the army. He later became a famous director, actor, journalist, writer and raconteur and became Sir Peter in 1990, Sir Robert Renwick organised the trip to Malvern, giving him carte blanche and providing an RAF Humber staff car, the fact that a private within the back of a large official car caused consternation among the RAF top brass. He met one of the boffins who appeared to confirm the prejudices of the absent minded scientist as the first one he met and cut himself shaving that morning and most of his fly buttons of his corduroy trousers were open or missing. He completed the script in a short time and used fictitious names for the public school and the scientists involved. It covers the work carried out at Worth Matravers and Malvern. 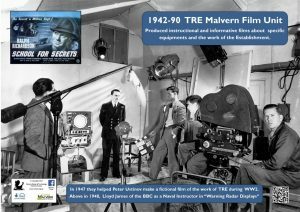 John Stewart TRE camera man was asked to help film the radar cathode ray tubes at the studios in Denham. 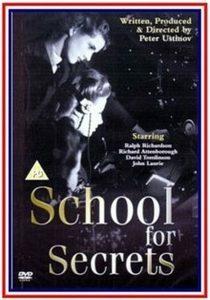 The film “School for Secrets” was a great success. 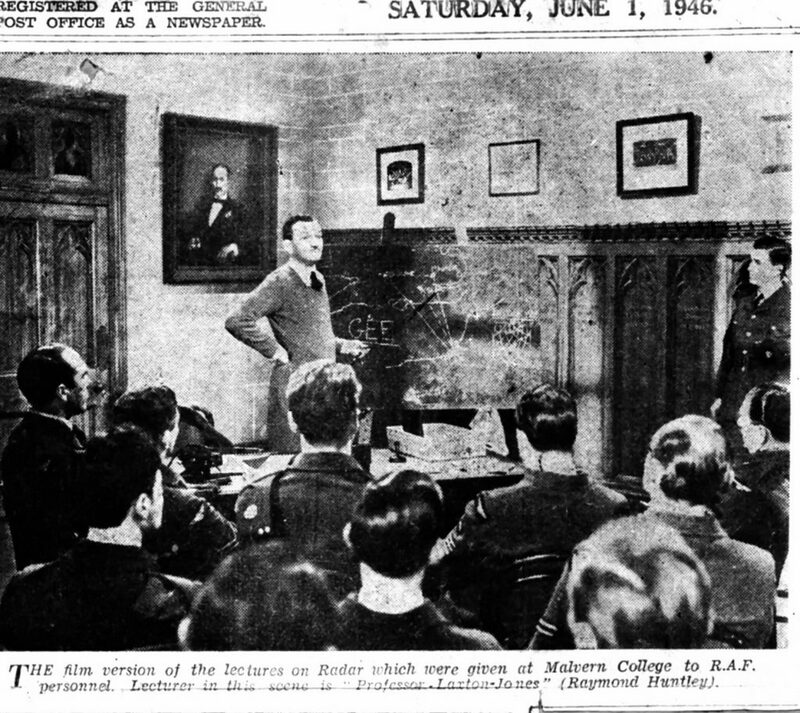 A caption at the start offer one explanation of the word boffin, of which there are many, saying that it emerged in RAF slang alongside words like ‘prang’, ‘scramble’, and ‘wizard’. It goes on to suggest humorously that it derived from the mating of a Puffin with a Baffin (‘an obsolete service aircraft’) to produce a bird that ‘bursts with weird and sometimes inopportune ideas’ of ‘staggering inventiveness’! 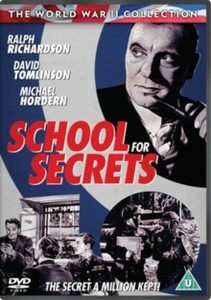 Unhappily it has not stood the test of time and the changes made to the chronology and the over dramatization make it a difficult watch today despite the stellar cast of Ralph Richardson, Raymond Huntley, Richard Attenborough, David Tomlinson, Finlay Currie and John Laurie. continued to make a wide variety of films until the 1980’s. Their output over the years included the Royal visit in 1944, RDF to Radar explaining the role radar had played in WW2, a visit to the African climatic testing laboratories, a whole series of Research Records in the 1950’s, the building of the Radio Telescopes at Malvern and Defford, Liquid Cooling of Equipment, Anti-Ballistic Missiles, Open Days, more Royal visits, Trials of AEW and Phoenix, Infra-Red systems and Crystal Growth, to name but a few. They produced around 500 films, which are now with the Imperial War Museum and most have not been seen for decades, apart from some wartime film produced on video by Doug Fisher and poor quality video tapes of later MOD films. The IWM has not digitised any of them, making them almost impossible to access. It would cost a large amount of money to have them digitised and put in the public domain, however it might form a future project for MRATHS, if funding could be found.